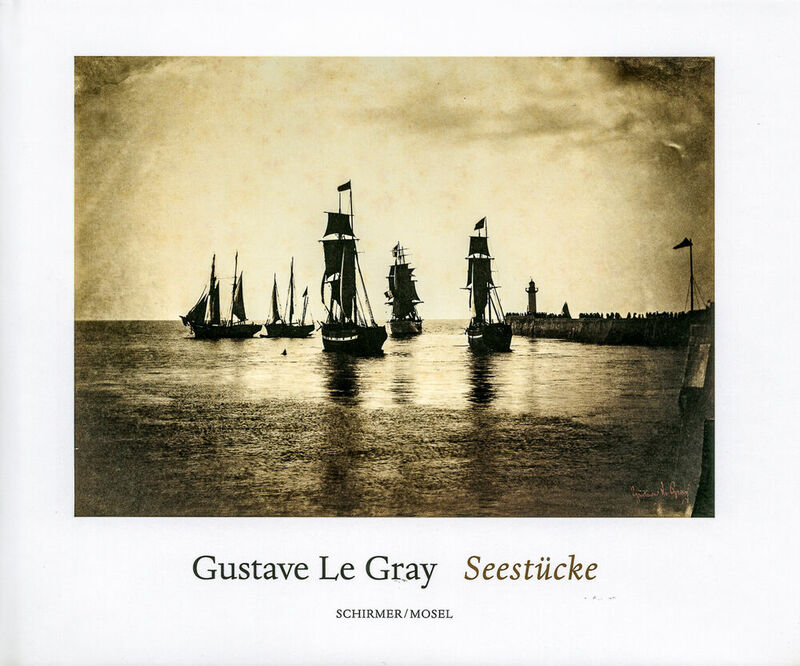 104 pages, 30.5 x 24.5 cm , 1052 g.
Gustave Le Gray (1820-1884) is one of the heroes of early French photography. A pioneer of innovative processes, he also made history as an instructor for a whole generation of French photographers and the initiator and outstanding architectural photog rapher of the mission héliographique documenting France's historical monuments. Le Gray, who originally studied painting, is also considered to be the founder of artistic photography. He was one of the first to follow the painters to Fontainebleau to do his own photographic studies of nature. In the mid-1850s, he started to produce sea and cloud studies in Normandy and on the western coast of the Mediterranean; these made him an overnight sensation among amateurs and collectors and earned him the admiration of the Impressionists. Fleeing from creditors, in 1860 he set off with Alexandre Dumas for Italy. He spent the last 20 years of his life in Cairo, taking photos and working as a drawing tutor. Today, Le Gray's prints are among the most expensive in the world.